Morning ecological environmental education at Nature's Classroom. ... with the same field group every morning during their stay at Nature's Classroom. During the morning field group, students will gain a better understanding of dynamic interactions in the natural world, as well as interpersonal interactions among themselves. 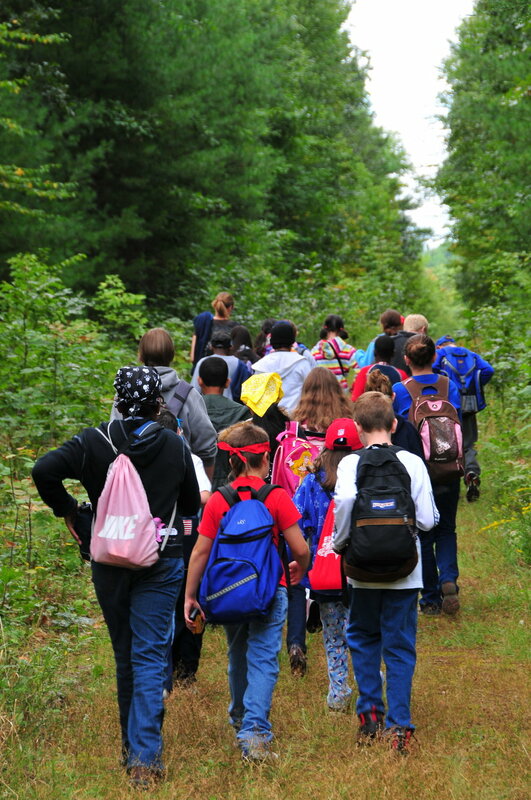 The classroom teachers assign each child to a Field Group, and each group is assigned to one Nature's Classroom teacher. One morning a field group might focus on "changes through time". Another morning the group might examine predator/prey relationships in the natural environment. Another morning, perhaps they will investigate the ways in which producers, consumers and decomposers all depend on each other. 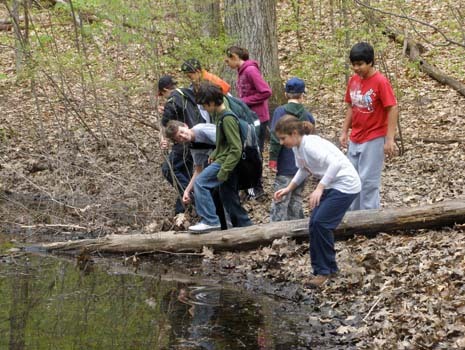 The varied habitats at each Nature's Classroom site offer lots of opportunities for learning and understanding. 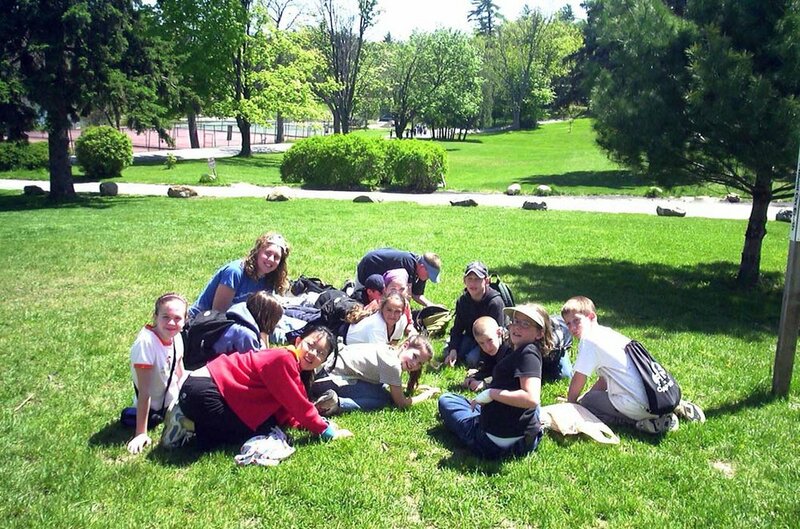 ... is important to the Nature's Classroom experience. One important goal is to give students a better understanding of dynamic interactions and patterns in the natural world as well as in social situations and even within themselves.